35 years ago, Roy Albin, started making fruit wines, honey wines, homemade sherries and madeiras as a personal hobby. Today he is the proud owner and winemaker of Royal Rabbit Vineyards in Parkton, MD, a true family-owned winery focused on growing and producing wine from grapes best suited to the region. Linda Albin, Roy’s wife of 30 years, is an integral part of the family operation at Royal Rabbit Vineyards. Linda can often be found in the tasting room on weekends pouring for guests, manning the register at festivals, and organizing and promoting fun, often competitive activities (i.e. arm-wrestling, chili cook-offs, sword-battling, caroling contests) during their annual events, the summer Medieval Festival and the end-of-year Holiday Open House. 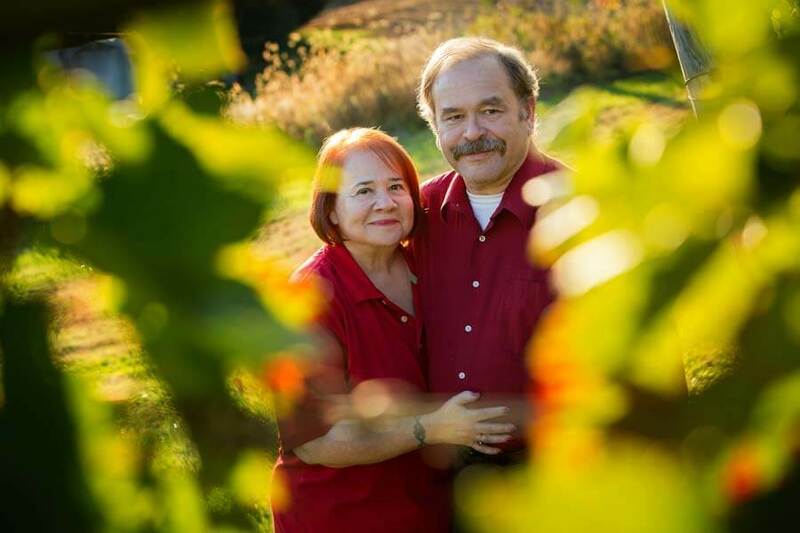 Roy’s parents, known affectionately around the winery simply as Mom and Pop, help maintain the plants and assist with bottling, filtering, and blending. They also do the bulk of the harvesting each year. Roy and Linda met in 1982 through their mutual participation in a medieval recreation organization. This affiliation not only sparked their relationship, but it also piqued Roy’s interest in the process of making wine. The primary focus of the organization is to discover and celebrate the arts, crafts, society, and history of the medieval era. Members learn by cooking, fighting, building, brewing, and of course, cultivating wines using the same processes people used in that time period. Roy revealed in this historical perspective, embraced the nuances of early winemaking methods and, in turn, applied his years of practice to his own modern winemaking endeavors. The years spent passionately experimenting, learning, tweaking and experiencing the joys of making and drinking wine naturally led Roy to want to share the fruits of his studies with a wider audience. 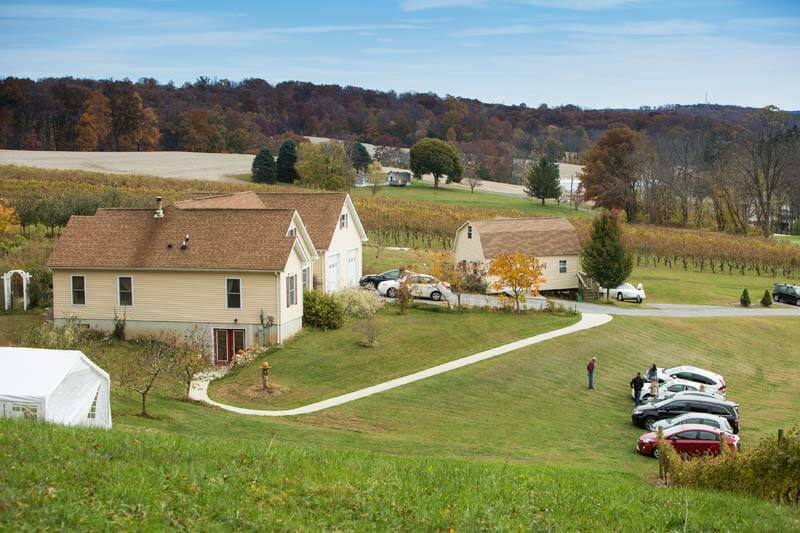 His desire to delve into commercial winemaking led Roy and Linda to their Parkton, MD property in 2007. After a period of settling into the soils of the land and the space of their building, the Royal Rabbit tasting room was officially opened to the public in November of 2011. Join Roy, Linda, Mom and Pop and treat yourself royally to a leisurely, sit-down tasting of award-winning dry and semi-sweet wines grown and bottled on site.